Great classic style shoe , worn for all occasions. Great looks and very comfortable to wear. Wear these shoes for many reasons. Looks great and very comfortable. Classic styling, accents any dress attire. i wear suits to the office and this style adds class to any dress occasion. I have owned 5 pairs over the last 15 years, comfort and styling have exceeded my expectations. 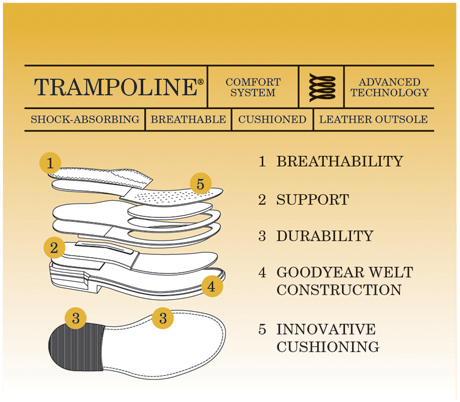 The insole inside shoe is perfect for my feet making the shoe very comfortable. Loved the design but the cost is somewhat over the top. I love my shoes and these are the third pair of the same size and style I've owned. They last forever and I can wear them for 14 hours a day and feel comfortable. Yes, they are expensive, but considering how well made, how attractive and how comfortable they are, the only thing better would be to go in bare feet. But, I can't show up to court in bare feet. Saying they run too big isn't accurate. I usually wear a size 11 in dress shoes and wore a 10.5 in these. I got them from the store so I was able to try them on to see fit. I love the shoe! I used to wear the Lucas style from Ferragamo for almost 20 years. They did away with that style. This has a similar look and I am hoping that as I wear it more it will last and will mold well to my foot. It is a little tough to slip into the shoe but hopefully that will improve.